The United Horse Coalition would like to thank everyone for their patience during this time of transition. It has been some time since a formal update, and much has gone on! UHC has welcomed a new Director, Ashley Harkins, in January of 2019. 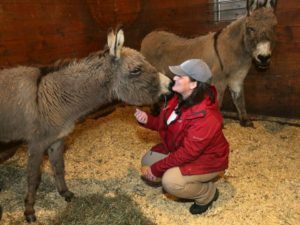 Ashley comes with a background in Horse and Livestock Rehabilitation and Placement through the Animal Rescue League of Boston. She also has a background in Barn Management, Animal Emergency and Disaster Response, Animal Control, Web Design, and some graphic design. She is excited to be a part of the United Horse Coalition and looks forward to continuing its mission and collaborating with UHC Members to create new and innovative ways to help horses in need. With the above changes, in name, and in mission, the UHC has refocused its services by redesigning its website as a single source to help horse owners learn about resources and options available to help horses that may be at-risk, or in a transitional phase of their life. The focus will be in three main areas: Resources for Current Owners, Resources for Rescues and Sanctuaries, and Resources for Potential New Owners (including Youth Outreach.) UHC has a focus on Owning Responsibly, for it is through responsible horse ownership that the most positive impact can be made. Current owners will be able to find resources on information regarding safety net programs if they need temporary assistance and wish to keep their horse, options for if they are no longer able to keep their horse, and options for end of life decisions and euthanasia. The website also provides information to potential horse owners including how to find the right horse, best practices when adopting or purchasing, and programs who match horses and adopters. UHC will also have a section dedicated to resources available to help Rescues and Sanctuaries, including operating guidelines, accreditation, matching programs, non-profit funding, management, grants, and volunteer recruiting and retention. Most importantly, the website will also host a searchable database to better serve the needs of current horse owners, potential horse owners, and Rescues/Sanctuaries. The goal is to streamline access to all available resources Nationwide to help horses that may be at-risk, or in transition. 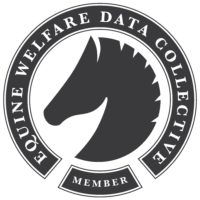 The United Horse Coalition’s website should be going live this coming week, with the Resource Database to follow behind. Along with the website, UHC has been updating and rebranding all its Educational Materials, Booklets, and Brochures, which will be available on the website. As an ongoing process, UHC will be expanding its Resource Database on a day to day basis as new Resources are found. Many good things on the horizon for the United Horse Coalition, and we look forward to continuing our work helping the Nations horses at-risk, or in transition.